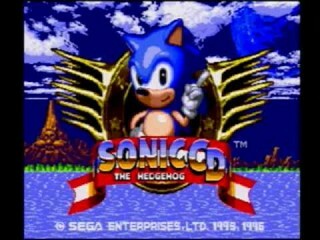 Often voted amongst the top 3 Sonic games, Sonic CD and this 2011 rerelease sport a stylish time travel mechanic by which, similar to Back to the Future's DeLorean, Sonic/Tails can hop into a different time by doing what they do well [on flat, uncluttered tracks]: hit a sign that's clearly in the backdrop and accelerate to warp speed. Finding robo-assemblers hidden in the past and decommisioning them, the player can cause a better future for the area. The 2011 version has small and large scale readjustments, it's built on a different engine that alters its physics, has online leaderboards, widescreen modes, and gives you access to both of the JP/EU and NA soundtracks.